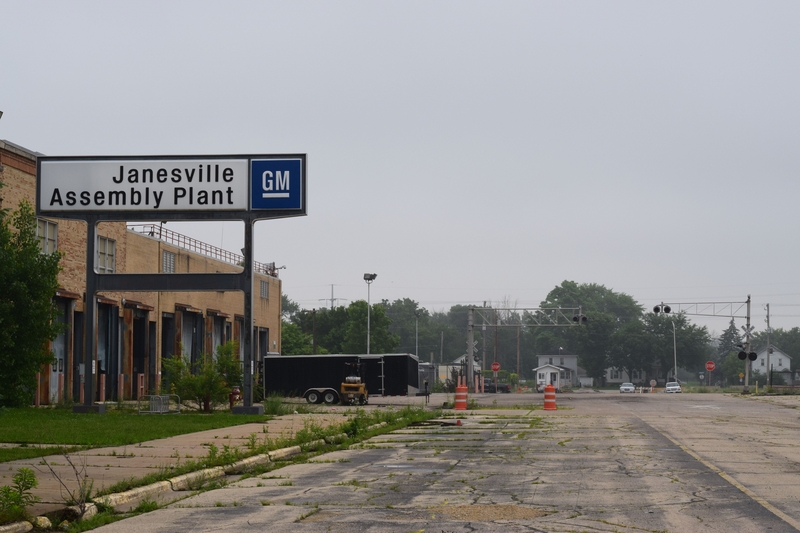 The city of Janesville is receiving a $500,000 grant from the Wisconsin Economic Development Corp. to help cover the cost of demolishing the former General Motors assembly plant there. With the sounds of demolition in the background, standing on the site of the Janesville GM plant, Lt. Gov. Rebecca Kleefisch announced Wednesday morning that the city was awarded a WEDC Idle Sites Redevelopment Program grant. The grant will cover 5 percent of the demolition cost, estimated to cost at least $10 million and slated to be complete by 2020. While $500,000 may seem like a drop in the bucket, Gale Price, Janesville's director of economic development, said every dollar is a step toward turning a blighted site into something useable. "It's an incremental step. It is a lot of money, it's the maximum grant that can be awarded, which is great, but they do have a big job ahead of themselves, and it's going to be important to work with all funding sources to really help and do that," said Price, who was at the announcement along with demolition crew members, and local, state and business officials. The city is receiving the grant but will be passing the money on to Commercial Development, a St. Louis-based redevelopment company that purchased the retired assembly plant from GM in 2017 for $9.6 million. Price said the city applied for the grant in the spring, and the approval process took about two months. At its peak in 1970, the 4.8-million-square-foot facility employed more than 7,000 people. 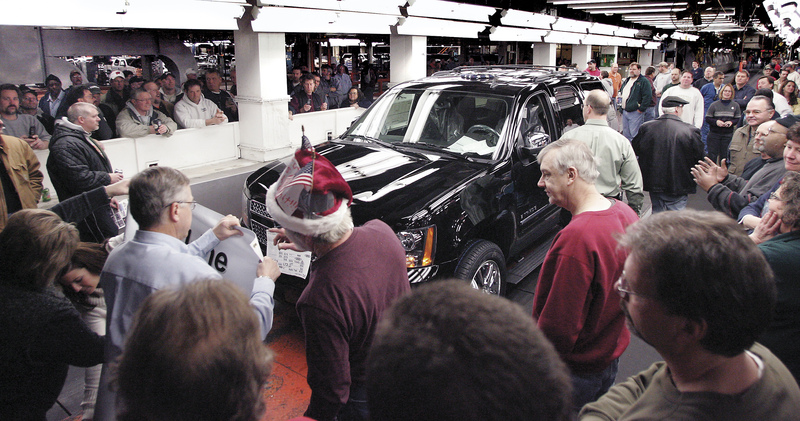 But in 2008, the plant closed, producing its last SUV on Dec. 23, 2008. In 2015, the plant was removed from "stand by" to "closed," sealing its fate to never reopen. The 2008 closure left a massive shuttered plant to deteriorate on the city’s south side, and a rising jobless rate in Rock County. It also left city officials and residents to grapple with the economic impact. Kleefisch touched on the hard times the county and city faced following the plant's closure. "When you reflect on what the unemployment rate looked like back in December of 2010, 9.9 percent, (to) what it is today, 2.8 percent, you can only be positive. You can only be bullish about Rock County's future." On Wednesday, John Fonke, executive vice president of Commercial Development, said he and his team know the plant's history and the emotions that come with redeveloping the historical site. "When you really start to spend more and more time in Janesville, you see the pride that people have and the legacy and the heritage that comes with it," Fonke said. "And it really is a tremendous asset to the community. And we'd like to reposition that asset and kind of take it to the next step." Fonke said he envisioned the industrial property be used for manufacturing, warehousing and distribution. No plans have been drawn up, but the access to rail and electrical infrastructure, the interstate, the city's proximity to bigger cities and access to universities make it convenient for such businesses to locate to the Janesville site, Fonke said. He estimated the site could support more than 1 million square feet of new industrial space that could be occupied by multiple users. The property has the capacity for upwards of $355 million in new development that could lead to up to 700 jobs, according to a WEDC press release. "We see a vision where we can completely take down the property, reposition the asset and then look for new industrial development down the road and creation of jobs and get it back to a level where it used to be," Fonke said. "The fact that it has two rail servicers — Union Pacific and Watco — makes a tremendous opportunity for us to find an end user that can put that to good use and leverage the property that way." 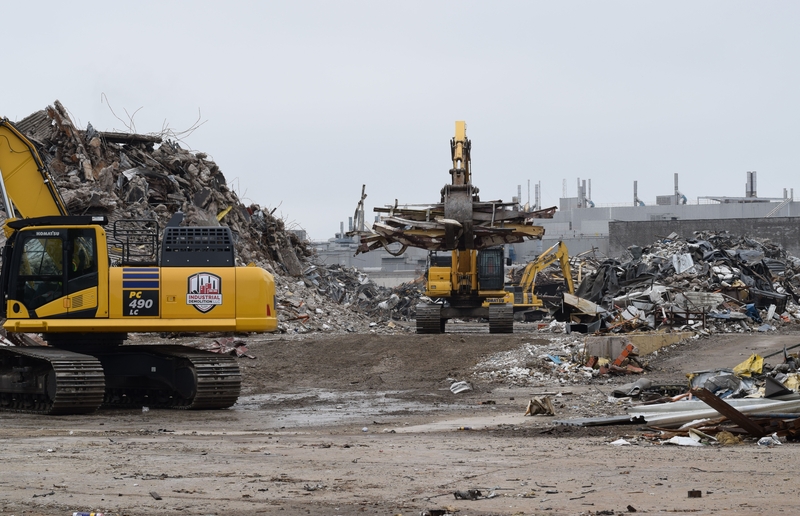 Demolition and clearing of the 265-acre GM site began in April and is expected to be completed by June 2020, according to the WEDC release. 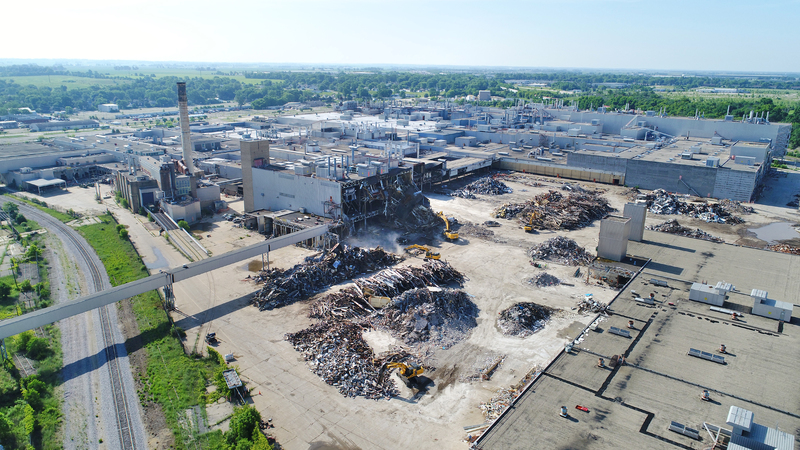 Over the past six months, asbestos-containing materials and waste have been removed, and, according to project manager Dennis Johnson, between 250,000 and 300,000 square feet of the plant have been demolished. Lloyd Duncan worked as a second-shift maintenance supervisor at the plant for 40 years from 1968 to 2008, when he retired as planned. And he isn't the only one in his family who worked at the plant: his wife also retired from the Janesville plant, his son and three daughters either worked at the plant or work at other GM plants now. The day Commercial Development purchased the property, they called Duncan and asked if he would be a consultant during the demolition. For a while, walking through the grounds was nostalgic, but he welcomes the company's efforts to look to the future. "I'm ready to see it," Duncan said. "It's not going to be used anymore. It was good to Janesville for many, many years. Convert it and make it into something else now. GM isn't coming back here. Accept it and move on." He said he looks forward to seeing what comes of the property. State Sen. Janis Ringhand, D-Evansville, was also at the announcement Wednesday and told attendees that the moment was "bittersweet." Like Duncan and so many others in Janesville and Rock County, Ringhand had family members who worked for GM. "We know we need to move on and have this economic development... We're all very anxious to see what it culminates into," Ringhand said. "I know it's an unknown right now, but the community is ready; they're fired up. Everyone is ready for this progress and change." Commercial Development and the city of Janesville plan to work with the public to determine what will eventually call the site home. As a start, they are welcoming public comments for the first time at an open house from 4-6 p.m. Wednesday, June 27 at the Rock County Job Center. After public input, the city and Commercial Development will work together on a redevelopment plan. After demolition, the project could require improvements to infrastructure as well as soil and groundwater remediation. Commercial Development has already submitted a remediation plan, which is pending approval, to the Wisconsin Department of Natural Resources for an area of contamination in the Rock River, Fonke said. The plant opened in 1919. It produced tractors, trucks, cars and artillery shells during its time, according to the WEDC release. WEDC’s Idle Sites Redevelopment Program was created in 2013 and amounts awarded vary, topping out at $500,000 — the amount Janesville applied for — said Mark Maley, communications director for WEDC. The grant is given only to municipalities or county’s working on a major economic development project, Maley said.